Rejoice, all you fans of Days of Our Lives! 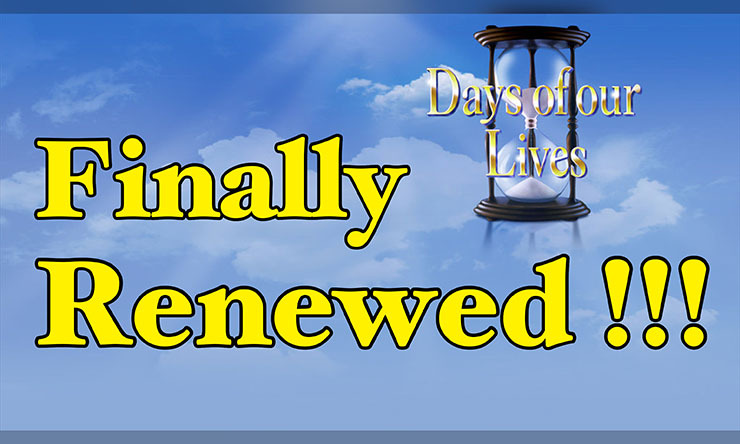 Days of Our Lives fans can look forward to a 52nd season of the longest-running daytime drama on the air. In the past several weeks, Soap Cities brought you a story detailing why reports by other media outlets that Days of Our Lives (Days) would be axed to make room for Megyn Kelly’s upcoming daytime news show. Then we told you Al Roker and Tamron Hall’s news hour officially would be cut to make room for Kelly. Finally we told you Days hired seasoned soap scribe Ron Carlivati, which would indicate the show is investing in its own future. “The network (NBC) has renewed the long-running soap opera for a 52nd season,” reported thehollywoodreporter.com. “We thank Ken Corday and his team for their incredible accomplishments and look forward to all the stories from Salem that will continue to unfold,” said Jennifer Salke president of NBC entertainment. Previous ArticleEXCLUSIVE: Will DeVry – The Biggest GH Fan of All? ?